New York Photography Blogs List. The Best New York Photography Blogs from thousands of New York Photography blogs on the web using search and social metrics. Subscribe to these websites because they are actively working to educate, inspire, and empower their readers with frequent updates and high-quality information. New York Photography newsletter is a comprehensive summary of the day's most important blog posts and news articles from the best New York Photography websites on the web, and delivered to your email inbox each morning. To subscribe, simply provide us with your email address. About Blog The photo blog has always been a free place for me to write about the trials, tribulations, and triumphs of the photographer. Facebook fans 2,785. Twitter followers 931. New York About Blog Hitlin Photography Inc. offers wedding photography and family photography in the Albany-Saratoga capital region and the Upper-Hudson Valley of Upstate New York. Facebook fans 3,596. Twitter followers 68. New York, NY About Blog New York based photo studio Brett Matthews Photography is a wedding and event photography studio serving Manhattan, The New York City metro area, and destination locations worldwide. Facebook fans 22,972. Twitter followers 652. New York, NY About Blog We are a passionate wedding photography team focusing on love's true emotions. We love images that tug at our heart strings and fill us with joy. Our photography style is authentic and honest. We spend your wedding day striving to capture moments you'll treasure forever in a natural way. Facebook fans 1,512. Twitter followers 4. Mt Vernon, NY About Blog Event, Food and Portrait Photographer based in New York City and Westchester, NY. Facebook fans 209. Twitter followers 452. Hoboken · NJ · NYC About Blog Hoboken and New York City wedding photographer and family photographer. I specialize in documentary-style wedding and family photography for people celebrating their individuality. Facebook fans 1,110. Twitter followers 166. New York, NY About Blog Aperture, a not-for-profit foundation, connects the photo community and its audiences with the most inspiring work, the sharpest ideas, and with each other—in print, in person, and online. Facebook fans 107,349. Twitter followers 238,893. New York About Blog Dreamlife photographers are amongst America's highly-regarded wedding photographers, capturing moments in New York & Manhattan. Facebook fans 2,676. Twitter followers 73. Herkimer, NY About Blog Janelle Rodriguez Photography is a Utica, New York based wedding storyteller photographing moments of love for the power of art and history. Facebook fans 4,096. Twitter followers 621. New York, NY About Blog Robert and Kathleen Trenske are husband and wife fine art photographers available for weddings and engagements in New York. Using a documentary approach, they capture candid moments and timeless images that encompass the raw emotion of a wedding day. Facebook fans 2,431. Twitter followers 605. About Blog I AM A SCHENECTADY, NEW YORK BASED WEDDING AND ENGAGEMENT PHOTOGRAPHER WHO BELIEVES IN LOVE AND THE CAPTIVATING POWER OF THE DOCUMENTARY IMAGE. NY About Blog Brooklyn wedding photographer that captures love stories with photojournalistic approach in documentary style. Facebook fans 516. Twitter followers 62. NY About Blog Read the blog by Michelle Lange, who is an accomplished fine art film photographer capturing weddings, engagements, and families in NY, New England & worldwide. Facebook fans 2,128. Twitter followers n/a. About Blog I’M NICOLE WEEKS, A PORTRAIT AND WEDDING PHOTOGRAPHER BASED IN UPSTATE NEW YORK. GRAB SOME COOKIES AND ENJOY VIEWING SOME OF MY LATEST WORK! New York & France About Blog The creative studio of Jamie Beck Kevin Burg. Artists, photographers, and creators of the Cinemagraph. Facebook fans 22,103. Twitter followers 23,827. NY About Blog Using a traditional wedding photography style and a mix of modern photojournalism, Fred Marcus Photography has gained a reputation of creating wedding photos. Facebook fans 11,154. Twitter followers 708. New York About Blog Get inspired by our world famous photo blog featuring the best images from our mitzvahs, weddings, kids and family portraits, events, society parties, travels, and more. Facebook fans 803. Twitter followers 383. New York City About Blog New York daily photography blog, including urban landscapes, architecture, street photography, and historical essays on the city. Facebook fans 8,311. Twitter followers 1,323. Brooklyn, NY About Blog I am a New York City area-based photographer specializing in candid wedding photography and NYC elopement photography. Facebook fans 503. Twitter followers 350. New York, NY About Blog Elvira Kalviste is a Brooklyn based award winning creative documentary wedding and portrait photographer. Weddings, Portraits, Engagements, Anniversary Shoots. Facebook fans 863. Twitter followers 22. New York About Blog See our latest photography offerings including New York weddings, engagement photos, mitzvah events, Hudson Valley weddings, portraits and boudoir shoots. Facebook fans 638. Twitter followers 8. Hudson Valley, NY About Blog Hudson Valley wedding photographer, Samantha June of Arius Photography, is a creative documentary wedding photographer serving the Hudson Valley, Upstate New York. Facebook fans 1,447. Twitter followers n/a. About Blog Brian Eden is a Brooklyn, New York photographer. He takes pictures of events, landscapes and life. Follow the blog to get latest updates on the photography sessions. NY About Blog Recent weddings, couples, and fun projects. Also tips on photography, life, love, and the pursuit of happiness. Facebook fans 321. Twitter followers 1. Rochester, NY About Blog Photographers in Rochester NY, Robin Fox Photography, specializes in wedding, family and children photography in Rochester NY. Facebook fans 2,151. Twitter followers 58. Westchester, New York About Blog Cassady is a wedding and portrait photographer based in Westchester, New York and is available for travel. Facebook fans 325. Twitter followers 83. About Blog Latest photo shoots, family sessions, musing from our family travels, and behind the scenes peeks from Jennifer Lavelle Photography. Facebook fans 707. Twitter followers n/a. Troy, NY About Blog Wedding and Portrait Photography in Upstate New York. Serving Albany, Troy, Saratoga, the Hudson Valley, the Adirondacks, and beyond. Facebook fans 1,359. Twitter followers 44. Brooklyn About Blog Lifestyle Portrait Photographer in NYC telling the beautiful story of everyday life. I create honest, natural, timeless images and specialize in child photography, family photography, lifestyle storytelling photography, senior portrait photography, and more. Facebook fans 652. Twitter followers 234. Brooklyn, NY About Blog I’m a full time wedding, elopement & portrait photographer, and documenting love stories is a career that I feel so grateful to have. Follow my blog to get latest updates about the photo shoots. Brooklyn, NY About Blog We are a lifestyle studio offering portraits for families and kids in New York City, Brooklyn and beyond! A portrait studio where experience is everything! Facebook fans 212. Twitter followers 61. New York, USA About Blog This is my journal. Follow along to read about my latest photography sessions, my travels, and thoughts about photography. I love to travel and make connections along the way. Facebook fans 1,751. Twitter followers 315. Rochester, New York About Blog A Newborn Photographer in Rochester, New York shares her photography sessions on the blog. Follow to get latest updates on the sessions. Facebook fans 1,431. Twitter followers n/a. About Blog Hi there I'm Erin Silber, a family photographer based in Brooklyn, NY. I love meeting new people and participating in memorable experiences. That's why, in recent years, I expanded my photography services to include empowering portraits of girls & women, high-profile events and professional headshots. Lowville, NY About Blog On Location & Studio Photographer - Specializing in Child, Family & Wedding Photography in Lowville NY and the surrounding Northern NY areas. Facebook fans 1,943. Twitter followers n/a. Queens, NY About Blog I'm a professional wedding and portrait photographer based out of New York. I love what I do and I try to make that show through in all of my work. Facebook fans 213. Twitter followers 162. New York About Blog Keep up to date with our latest New York wedding and elopement news and photography tips! If you are thinking of a destination wedding in New York start here. Facebook fans 236. Twitter followers 2. New York About Blog When I'm shooting photos I'm completely in my element and my goal is to always make you feel as relaxed and as comfortable as possible. Get in touch and let's talk photography. New York About Blog Rainiers Photography Blog updates about the work in Newborn, baby, Maternity, Family, Engagement and Wedding. New York About Blog Photography has always been a passion of mine. As a teen I loved thumbing through Vogue, Elle, and Bazaar looking at poses, lighting, wardrobe. My goal is to give my clients quality images along with capturing real emotions in every frame. 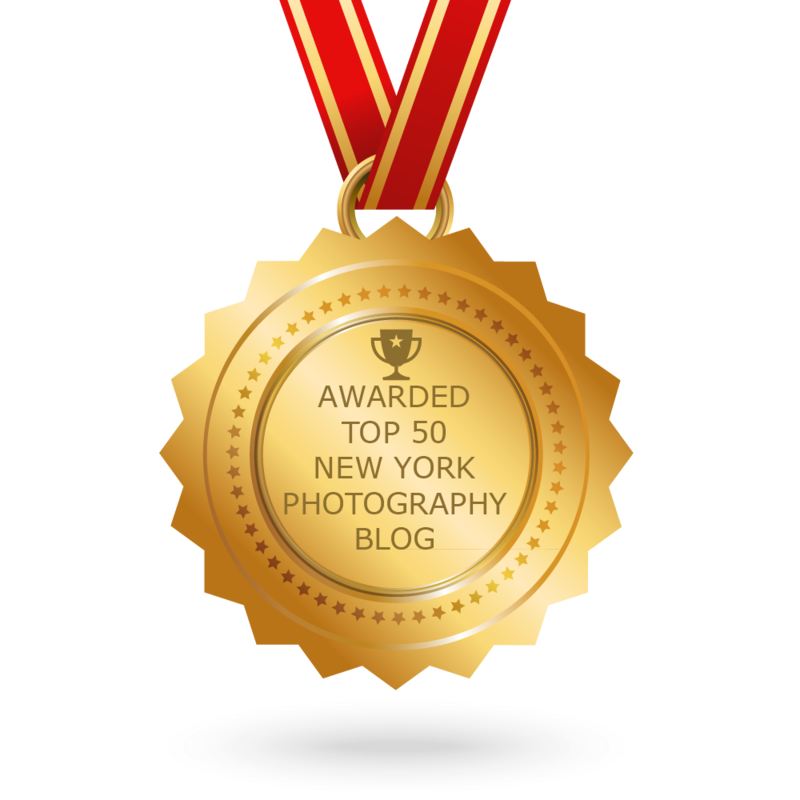 CONGRATULATIONS to every blogger that has made this Top New York Photography Blogs list! This is the most comprehensive list of best New York Photography blogs on the internet and I’m honoured to have you as part of this! I personally give you a high-five and want to thank you for your contribution to this world.